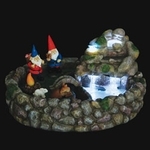 While everyone loves a garden adorned with a full-sized gnome figure, GardenFun’s miniature gnomes are the perfect way to add gnome whimsy to the nooks and crannies of your home. 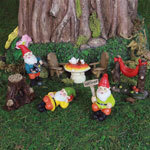 Add our miniature gnome sets to your indoor or outdoor spaces for a pop of color and a touch of fairytale fun. Each figure is always coated in a weather-resistant resin to stay bright and colorful after years of outdoor living. 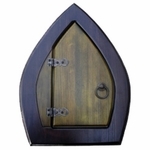 Our miniature gnomes come in stake and non-stake sets. Our stake sets include Travelocity and Gnomeo & Juliet characters. 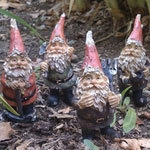 Use these mini lawn gnomes to line your walkways or place them throughout your yard. 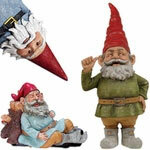 Our non-stake gnome sets include the adorable Gnomeo & Juliet mini goons. This 3.5 inch set of eight mini goons are small enough to tuck into your flowerbed. 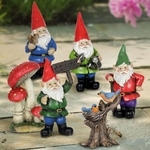 Our 6 inch shelf sitter mini lawn gnomes are indoor and outdoor-friendly. 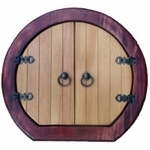 Add these six to your bookcases, garden tiers, or anywhere that can use a gnometastic surprise. 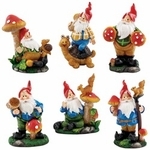 If you are looking for a set of traditional working gnomes, our set of six 3.5 inch workers is the best choice. These red-hatted originals include two watering gnomes, a miner, gardeners and a relaxing gnome. 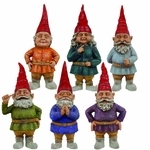 We also offer another set of working gnomes, including four 5 inch figures. Place one on your desk for a cheerful and friendly face during your workday. For a whimsical gnome figure that will put a smile on your face, try our ladder Jack climbing gnome. The adorable Lil’ Jack comes from the depths of Gnomeville, climbing his ladder to reach new heights in your garden. Set his ladder against your flower pots, trees, or even your windowsills. His bobblehead design will add a lifelike touch to this mischievous figure. 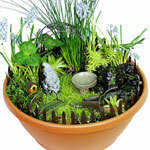 Choose from familiar and new faces to enhance your garden and brighten your home. 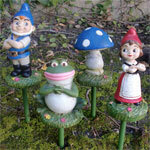 GardenFun’s selection of mini lawn gnomes is designed to add a hint of whimsy to our everyday lives.